An affordable CRM for small business can help improve both the top and bottom line. There are many solutions present in the market offering great functionality. Majority of features are common, however, what matters most is what is how well is the CRM implemented at your company. This is especially because each company is slightly different from others. The list we have put is in order of affordability as well as popularity in this segment. At this stage, I feel it necessary to disclose that our company work on three of these solutions but I have kept the list neutral. When entrepreneurs or owners want to graduate from spreadsheets the usual question they run into is – which are the top affordable CRM for small business. So, if you find yourself asking this question, you are you at the correct place. More importantly, you are also headed in the correct direction. See which CRM platforms are affordable yet powerful enough to help you scale up. 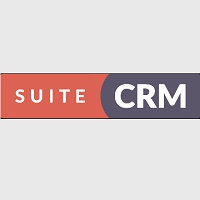 SuiteCRM is the truly open source CRM solution which means that you do not have to pay any recurring user licence fee. Hence you can install SuiteCRM and get started right away! Isn’t this great? That’s why we are listing this at the number one position. A suitable SuiteCRM development services provider can ensure that all your investment goes into customizing CRM to match your business into the application and making it work for you. The solution offers standard functionalities on Sales, Marketing and Customer Support areas. It also offers advanced functionality including workflows, reporting and quote management. Pricing Information – No user license fees if hosted on your own. £10.00 per user per month for on-demand version. Zoho is an innovative company and offers their CRM free for up-to 3 users. Though the free solution is limited in feature set, it is still comprehensive for small business. Zoho has multiple solutions and they are all integrated with each other and the pricing is à la carte. Pricing – The professional edition which includes workflow and automation features, which we feel is necessary for true business gain starts around $20 per user / month. 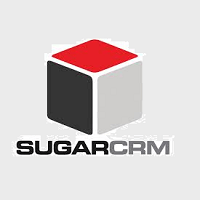 SugarCRM has been one of the most popular solution for entrepreneurs and small business owners. It started as a commercial open source solution but now only the paid edition is available. Many reputed companies now run on Salesforce. Apple and IBM are a few of them. Pricing – The professional edition costs $40 per user per month. Related – Why SugarCRM is popular among start-ups and entrepreneurs. 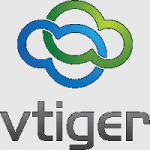 VTiger helps small business get up and running with their Sales and After Sales function in a quick manner. The solution offers simple and intuitive interface for the users and offers a opensource version as well. Pricing – The pricing for a sales CRM is $20 per user per month whereas an all in one CRM costs $30 per user per month. 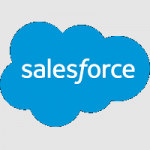 Salesforce is a pioneer in cloud based CRM and has been a true market leader and an innovative company. It is increasingly being used by companies across the world. Salesforce provides enterprise scale features. Pricing – There are various editions of Salesforce, however the sales cloud for small business start at $25 per user per month. It has a limitation of having 5 users maximum. However, a complete full-scale CRM would cost $75 per user per month. Get Started with our affordable small business CRM solution. FAQ – Few more aspects to think about before venturing into affordable CRM. So now if you have chosen the CRM platform of your choice, there a few more basic things to ponder about before you start with your implementation. How does CRM help business grow? It is a difficult question to answer in a single go. However, the approach to this is that CRM helps you improve your business key performance indicators (KPIs). Following is a good place to start if you are wondering what sample KPIs look like. Can I use CRM for Order and Invoice Management? Small business do not necessarily have an ERP solution. Their needs are simple and can be easily accommodated within the CRM features. This may of course need some development, but it may be worth to track orders and invoices attached to the customer record. Do I need integrate CRM with other applications? Absolutely! Integrating CRM is essential otherwise you will end up manually entering information. The simplest example is to capture leads from your website into CRM so that it could be assigned to sales representative and can be followed up in a proper manner. If you are using CRM for invoicing as well, you might consider integrating it with Quick Books. If you use marketing automation tools like Mail-Chimp, you may want to integrate it with CRM as well so that you can see how your campaigns are doing. If you are running a call-center operations you may want to integrate it with a VOIP solution. What are the typical CRM Customization? As I mentioned earlier, any CRM is made for a typical business and need to be personalized before you can use it fully. If you are an insurance dealer, for example, you may need to store various details of various policies and keep an automatic reminder on expiring policies so that you can act on them. You may also want to get a custom dashboard developed to make your business efficient. There are many solutions available in the market and the list is long. But few other worthy solutions in this segment are Insightly, ZenDesk CRM, Bitrix24 and HubSpot CRM. Just to re-iterate it is not only the platform which defines your success, but rather it is the effort and consideration that you put while implementing CRM for your business that yields business results. Affordable CRM starter packages custom fitted to your organizations specific needs.